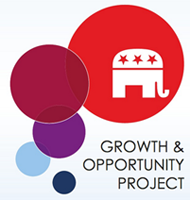 Having finished reading the “Growth and Opportunity Project” report from a blue ribbon panel appointed by Chairman Reince Priebus, it reported seven different areas for improvement in the next campaign cycle. Each area described will likely have appeal to some people. To find your niche to help out, please read the entire report—it’s not that long—located at: growthopp.gop.com/default.aspx and many other sites. However, I propose an eighth area of improvement. Let me call this the Team for America approach. With this approach, whatever candidate emerged from the gauntlet of the primary system victorious, would immediately and publicly announce much of their working Cabinet, with most of their primary opponents being named cabinet and department heads. In this approach, rather than having a single winner and several losers post primary and heading into the convention, the winner would take all of them with him into the general campaign against the real earthly enemy, the Democratic candidate. Given the extraordinary quality of the typical GOP candidates, it makes no sense to leave those competitive candidates and their organizations behind. Rather, the winning candidate should welcome the diverse ideas, personalities, and demographics from the primary campaign straight into the general election campaign, by making all of the remaining competitors a vital part of their management Team for America once they beat the Democrat/Marxist candidate. The winner takes all of them with him to the White House as his Team for America. No more appointing unknown individuals--unknown-until-Glenn-Beck-exposes-them-as-Marxists—to powerful positions running (or destroying) this great country! It is wrong to ignore or take natural voter bases for granted (this author heard from two different primary campaigns that the Romney campaign essentially refused help from other campaigns in 2012, at least until the last minute when it was too late). Much of the unmentioned blame in 2012 can be asserted to be due to the base being ignored, and literally millions did not show up. In the Team for America approach, by naming competitors to key posts, there would be a post primary coalescing of nearly all Republicans around the party’s nominee. Still others could add to this powerful Team for America--Sarah Palin, Bobby Jindal, John Bolton and others. Maybe Chuck Norris might even make a good White House spokesman (unless you like Jay Carney better). The Nation sorely needs such a “dream team” to restore America from the wreckage left by the Obama-Reid-Pelosi nightmare. No more milquetoast support for the GOP candidate like in 2008 and 2012: Most importantly, such a Team for America approach would solidify and virtually guarantee that the winner takes all of the various candidates’ enthusiastic base constituents into the November general election battle. If the GOP is serious about regime change in America, a genuinely united GOP battling mightily to save the United States, the Constitution, the States’ rights, and the self-evident truths identified in the Declaration is the most powerful way to accomplish this. Last but not least, this Team for America approach would give true international experience and American media exposure to those who may still wish to run in the future.